Manufacturer of a wide range of products which include air handling unit and air handling ventilation unit. 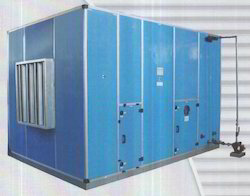 For the purpose of manufacturing these Air Handling Unit, the cutting-edge machinery and latest technology are used. Owing to their energy efficient design and easy installation, these air handling units offered by us are extremely demanded in the market. 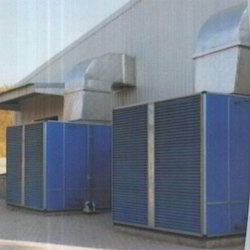 Offered by us at reasonable prices, these air handling units are extremely appreciated. Capacity:From 1000 cfm upto 200,000 cfm. Port of Dispatch: Our facility in Shivane, Pune / Work on site. Production Capacity: Specific to requirement while depending on available work teams. Delivery Time: Determined based on specifications of requirement. Packaging Details: Work on site. Else, our products are shipped in export quality packing. We also build custom frames and structures while accounting for all possibilities of damage. Packing procedures can also be followed as per individual customer standards. We offer high-quality Air Handling Ventilation Unit to our prestigious clients. By using advanced machinery, our professionals manufacture this large capacity industrial humidification/ventilation units in compliance with the set industry norms. Owing to their low power consumption and robust design, this large capacity industrial humidification/ventilation units are extremely demanded. From 1000 cfm upto 200,000 cfm. Looking for Air Handling Ventilation Units ?